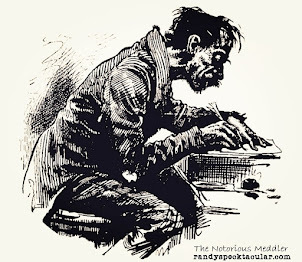 The Notorious Meddler: Let's Hear It For AM! A friend and colleague of mine asked me about my AM transmitter today. What can I say other than she is exceptionally, wonderfully, amazingly, remarkably beautiful and solid as a rock for my radio station. You could say my AM transmitter is a member of my family. We have known each other our entire lives, she and I. I call her mine, but we are like brother and sister I suppose. My dad and his dad were among the first to lay hands on her. I came along later and took their place and became official overseer of her. Well, actually, it is she who oversee's me. If you know anything about radio then you understand what I just typed. You see, my AM transmitter has been a loyal member of my family for going on 51 years now and, although she might have been kicked a time or two (but not by anyone who had a heart and loved her), she's still stayed loyal and has never strayed from her purpose. My Gates BC-1T transmitter came to us during the later summer/early fall of 1958 and has never failed to be anything other than loyal to her purpose. She has served well and continues to do that today. She has made many legends in her lifetime - names that you probably wouldn't recognize unless you are from my little corner of the world. She has been responsible for so many popular disc jockeys, and while the faces of so many of those great voices have come and gone, it was settled in my mind long ago that my AM transmitter was sent here for one reason and one reason only - to transmit, and no matter who is here, or who is not here, she will continue to serve her purpose....as long as she is loved and cared for. I have to confess that at times I have ignored her pleas for things she might need, such as new tubes, transistors and/or resistors, etc., but the thing that has always amazed me about her is when I finally came to my senses and gave her what she asked for, she acted as though nothing had ever happened and went about doing what she does best - transmitting. Even after I have proven to be unfaithful to her, she has never held it against me. Almost 20 years ago, she had to have a major transplant, but she survived and she continues to survive to this very day. She is my Gates BC-1T AM Transmitter and I will always love her. Below is a photo of my dad made in 1961. My AM transmitter is directly behind him. Isn't she beautiful? Our museum just acquired a Gates BC-1T transmitter and it is beautiful. I, too, am an old radio guy who appreciates "amplitude modulation." (…back from my Google search of "Gates BC-1T") Randy that's so cool. I was the beneficiary of the morning "Jubilee" transmitted by that sweet machine. 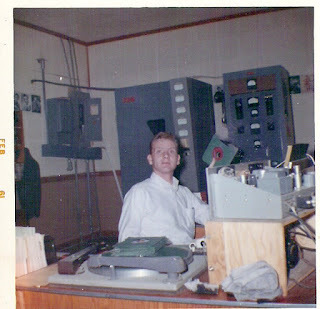 My father was a Disk Jockey at our local radio station back in the '60s and '70s. The station had a beautiful Gates BC-1T, purchased in 1960, as the station was being built to FCC specs at that time. I loved it, with the soft glow of 833As and the 866, and 8008 mercury vapor rectifiers in the bottom, as they danced with every beat of the music. I followed in his footsteps for a short while, and then went into auto parts, as the station was going down hill, took a tumble and was finally sold to a person who got it to 5 KW, then I was saddend to hear that the owners of the station removed the BC-1T with a sledge hammer, and a crow bar!! to make room for the newer designed BE series solid state transmitter. I would have taken the utmost care and tener love in removing it had they told me they were gonna junk it, and even give them a little cash to boot. Where it is now, I have no idea, but I will never forget that inanimate object making such an impression on me as a child, and as it still is in my mind, up and running. God Bless !